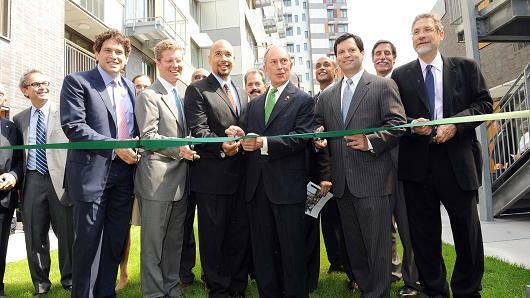 Enid Alvarez | NY Daily News | Getty Images In this 2012 file photo, then-Mayor Michael Bloomberg joins Obama administration HUD Secretary Shaun Donovan at the grand opening of the Via Verde affordable housing development in the Bronx. “To come in and blatantly eliminate these programs because you’re trying to meet a budget number … it’s actually alarming,” one industry veteran said. President Donald Trump wants to wipe out the Community Development Block Grant program, which is part of a $6 billion, or 13 percent, reduction in the fiscal 2018 budget for the Department of Housing and Urban Development, CNBC reports.